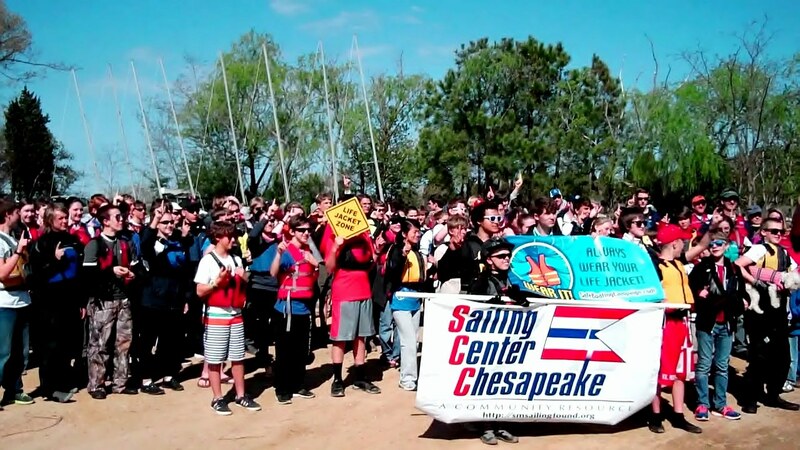 This year Sailing Center Chesapeake teamed up with The National Safe Boating Council to host a special Junior Varsity Championship Regatta at Tall Timbers Marina to promote water safety and awareness. 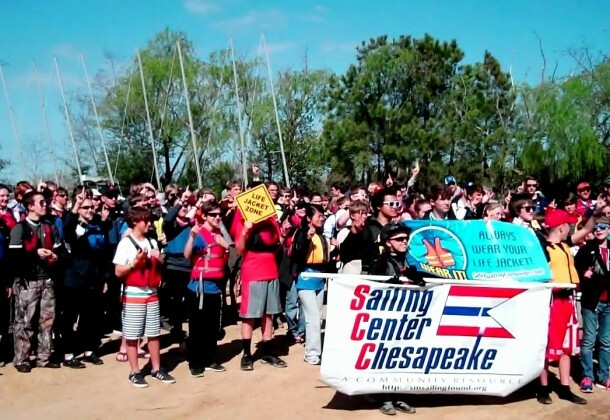 Everyone was invited to show up wearing their Personal Floatation Devices for a group photo to show participation and promote the Boating Council’s Wear It! program. A particular invitation was expressed to leashed dogs, one of whom posed prettily and is captured in the video below of the rather sluggish gathering into photo opportunity. But while the race to the curtain call was something of a crawl, the costuming was perfect, whether arriving early or late, in the front row or back or sandwiched in the growing middle, everyone wore a PFD. Wear It! 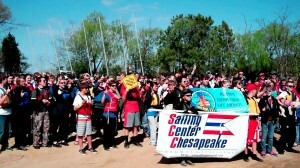 A life jacket by any other name is exactly that. A Life.